The YTA70 delivers all the benefits found in the YTA50 while adding HART digital protocol communication. The HART protocol allows you to conveniently configure the transmitter using the latest FDT/DTM technology. 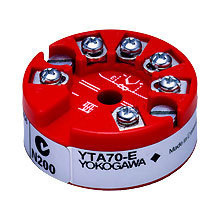 The YTA70 is the choice for all your control applications. 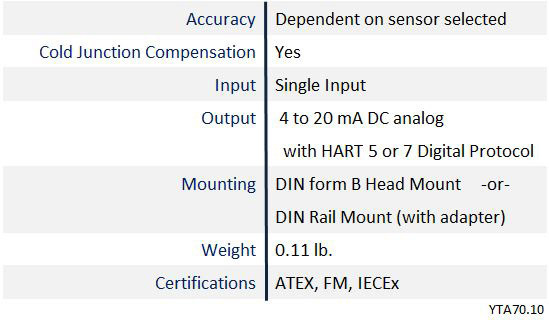 The type of sensor input is user-selectable: RTD, Thermocouple (T/C), DC Voltage, or Resistance. YTA70 mounted in a #2 connection head. 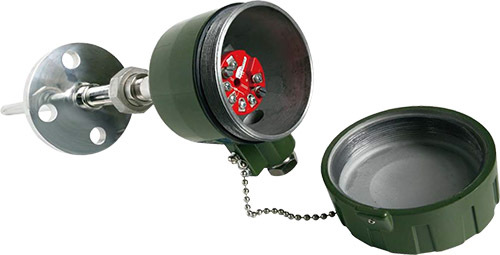 YTA70 is DIN Form B compliant and can be mounted in a #2 or #9 connection head. It can use an adapter plate to attach to a #5 connection head.